Hard Bible Books wordsearch. 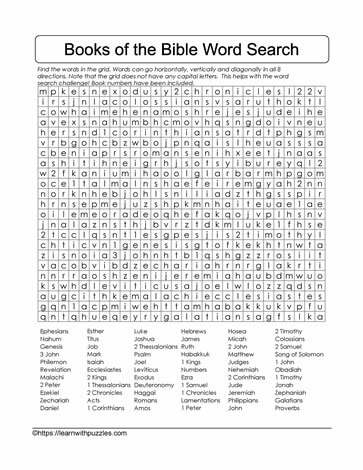 Here is a Books in the Bible wordsearch that you will find challenging because it includes 66 books in the bible in the word list. Suitable for students in middle grades 5,6,7 and homeschoolers, this wordsearch is a great end of unit activity to help consolidate knowledge of the 66 books of the bible.